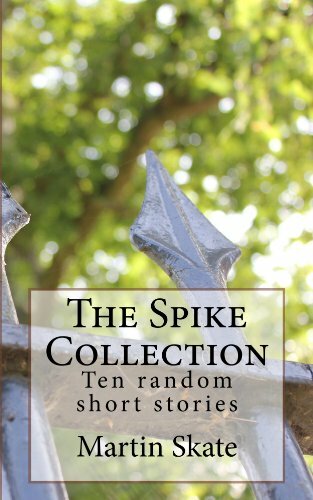 The Spike Collection, ten short stories randomly thrown together to take you on a ride of emotions, thought provocation, and charm. Each story focuses on the key characters’ thoughts, challenges, and how they are richer for their experiences. The stories cover tales from suburbia, life changing moments, superstardom, and what to do if you do not fancy door-to-door selling for the day. 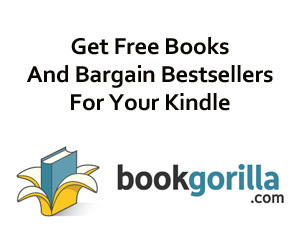 If you enjoy short stories that take you through a rollercoaster ride of emotions then this is for you. Ten thought provoking and random short stories that truly entertain. The Spike: Sam is flying through life getting fired at every job he gets, until one day he finally realises where his major talents lie. This is Sam’s journey up until he reaches his realisation that defines his whole life. The Siren: All the boys turned to jelly when they were around Tina, so what happened when Brad was the only one to get close to the Siren? Rocco: It is tough being galaxy-wide famous, follow Rocco on his life of fame, adulation, and on meeting the love of his life, Eve. Twenty Pence Pieces: During the summer holidays Ted and Dee have a simple plan to buy something super cool, and they have a fun and enterprising method on how to get the money to do it. The Bridge: Helen, Stefano, Roland, they all have their hobbies and goals which ultimately drive them to a meeting-crescendo of devastating circumstance. Time Travel Tim: A little boy’s wish comes true when his fictional television hero suddenly appears in his bedroom and takes him on a quick adventure. Snapshot: Being away at sea for long periods of time can be fatal on a relationship, as this account of a returning sailor tells us. Nine Coffees: Russ worked in a boring office, he needed more, but what to do? He found what he was looking for one morning in a coffee shop, Luka was the shot of caffeine he needed. Chelmsford: During a day of door-to-door selling Jason has the great fortune to be joined by someone who decides to play this would-be humdrum day ever so slightly different. Hear-dunnit: Retired and widowed Pat awakes to plan his final hurrah, and looks back on some fond memories.